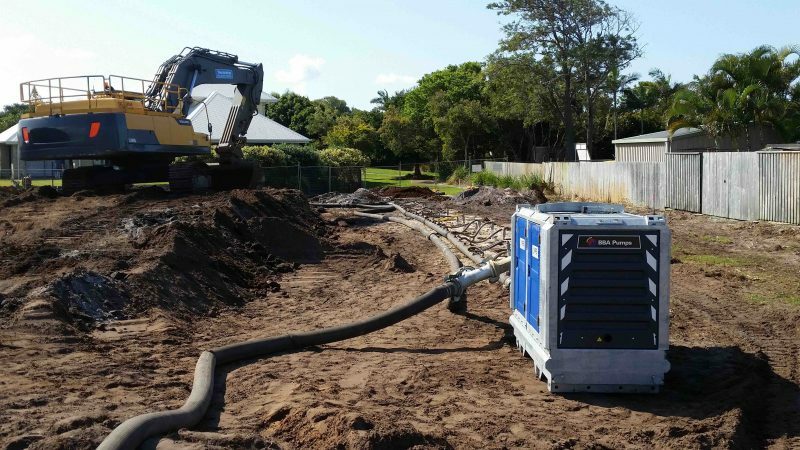 Wellpoint Dewatering at the Sunshine Coast provided by National Pump & Energy. The development is in a fantastic location on the canal, however, the proximity to the water means that ground water is an issue when excavations begin to reach the water table. 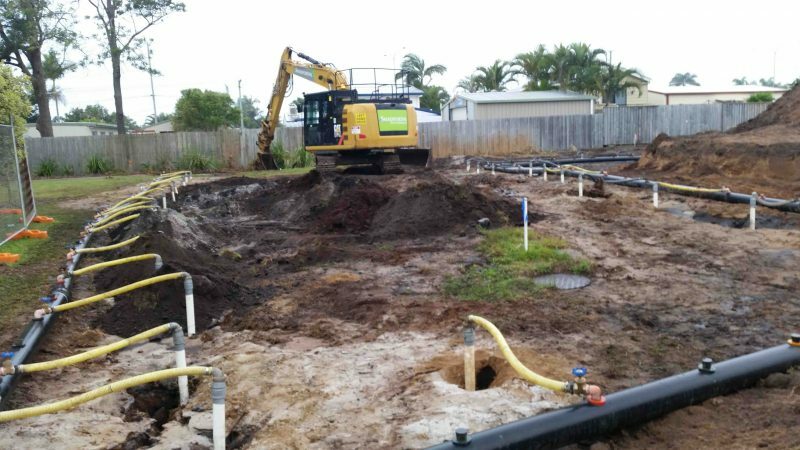 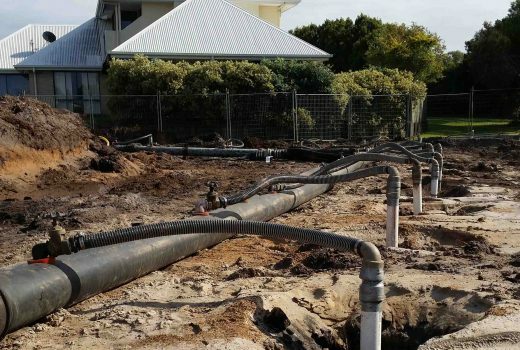 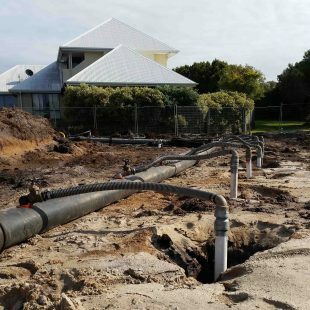 NPE were engaged by the civil contractor to design, supply and install the wellpoint dewatering system in Kawana on the Sunshine Coast to enable the excavation of a trench for the installation of stormwater culverts. 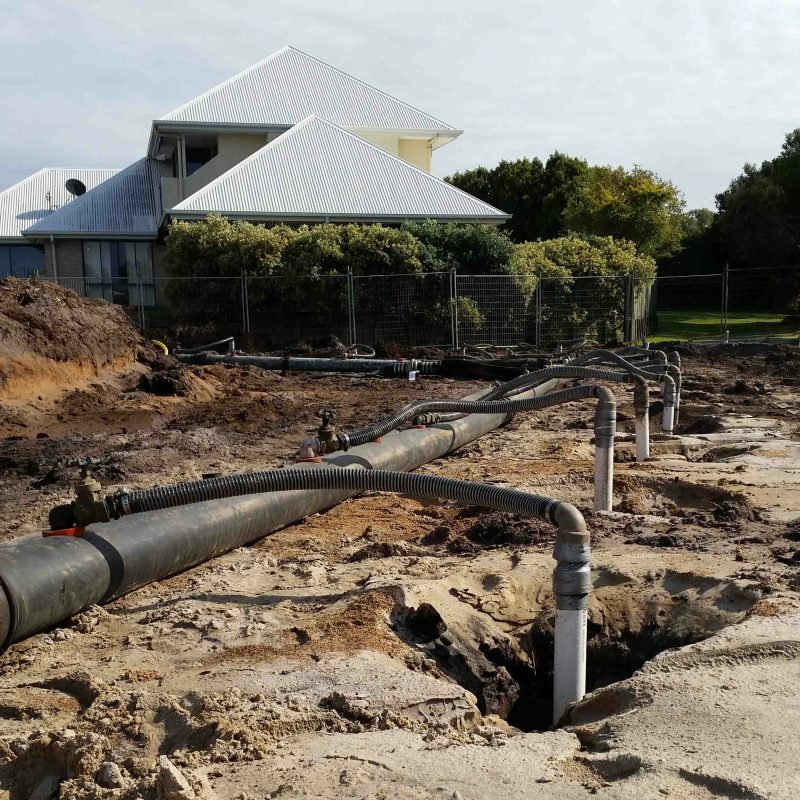 Design, supply and installation of Wellpoint Dewatering at the Sunshine Coast to enable the installation of stormwater culverts at the waterfront retirement complex development.